Developing “the power to act” in students is the cornerstone of Learner Agency. In this dynamic and practical workshop James Anderson will demonstrate how ultimately this power to act comes from combining Growth Mindset, Habits of Mind and Virtuous Practice. This powerful combination develops a student that not only understands they are capable of growth (the Growth Mindset) but also how to go about achieving that growth. The growth mindset is the essential foundation for Learner Agency because it gives the student the understanding that they are capable of change and in charge of their own development. James will dispel the common misunderstandings about Growth Mindset and introduce you to the Mindset Continuum. In doing so you’ll learn how to create positive mindset movers in your classroom and how to nurture more growth-oriented students. However, understanding that you are capable of growth, is not the same as achieving that growth. The Growth Mindset is just the invitation to grow, it’s not the growth! 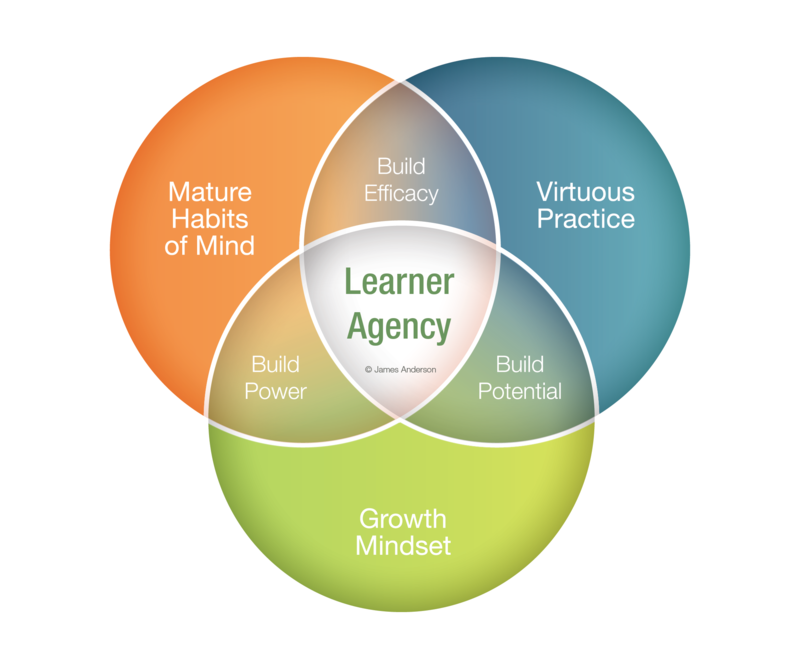 In order to achieve growth and develop true Learner Agency, students must develop powerful Habits of Mind and employ those Habits of Mind in their Learning Zone by engaging in Virtuous Practice. James will show you how this combination of Habits of Mind and Virtuous Practice produces Effective Effort. This workshop will go onto explore how to change the way we talk about effort in the classroom. You’ll discover how to move away from the indiscriminate and often counterproductive “Praise Effort” fad, to become more focused on directing students towards Effective Effort – the sort of effort that results in actual growth, not merely the ineffective expenditure of time and energy. Throughout the day James will challenge your thinking and provide you with both deep insights and practical tools that will help to develop true learner agency in your students. He will draw on the work of Dweck, Costa and Kallick, as well as Ericsson and show how he weaves these ideas together to form a powerful model for learner agency.